Safe PPD free Henna Based Colors Last on the Skin for 2-7 days. Ingredients: Natural Henna Powder (not listed on the label), Tartaric Acid, Alcohol, Glycerine & Mineral Water. HIGHLY RECOMMENDED!! This 1/2 oz. 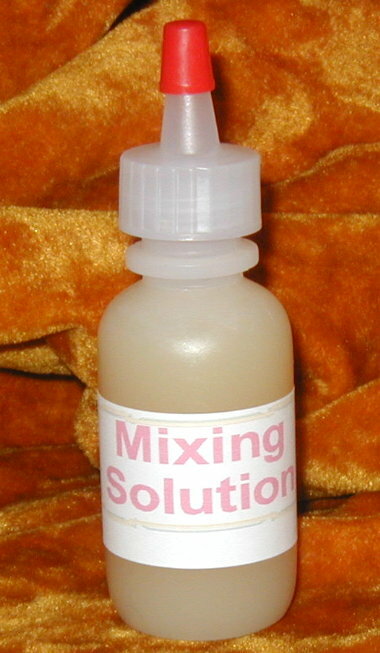 bottle of mixing solution is Good for thinning out Colored Henna, and the Henna/Black Walnut Powder is used to thicken and prevent/minimize the Paste from Spreading on the Skin. NOTE: One Bottle of Solution per Tube is suggested.